Quick quiz: What two industries have seen the steepest rate of inflation in the economy over the past decade? If you said energy or housing, you’re wrong. The correct answer is education and health care. The first of these isn’t too surprising to anyone with a son or daughter enrolled in college. One of my sons goes to Northwestern University, and the cost is stratospheric: $62,000 a year. Can the college degree he will be handed soon really be worth nearly $250,000? Across the country, tuition costs have basically tripled in 20 years. The same is true in public grade schools and high schools. Per-student spending has roughly doubled in just the past 15 years. Yet test scores have been flat or have drifted down. What are we as Americans really getting for our health care and education dollar? At least in health care, new treatments and drugs have reduced death rates and the incidence of crippling diseases. But still-stampeding health insurance costs are threatening to bankrupt families and, maybe, our economy. Now the question I always ask my students is this: What do these two industries – medical care and education – have in common? The answer is: government. The public sector basically runs these two sectors of the economy. Our health care system is about 52 percent public and 48 percent private. In education, about 70 percent of the dollars flow to public schools. It’s no secret why these industries are such failures at curtailing costs. The answer is the people who get the service don’t pay for it. This is called the third-party payment problem, and it’s systemic in medicine and education. Obamacare treats health care like a human right, and so we’ve moved aggressively to socializing the cost of paying for it. When you don’t pay the bill yourself, you aren’t cost-conscious. As my old friend Phil Gramm, the former Texas senator, used to say, if we paid for our groceries the way we pay for health care, every night my dog would eat filet mignon. It’s not just the government. Private health insurance, encouraged through the federal tax deduction for health coverage, picks up more and more costs and patients less and less. So almost no one asks how much expensive medical procedures cost. The National Center for Policy Analysis once completed a study showing that, the larger the share of a medical procedure covered by government or private insurance, the faster the rate of inflated costs. I once had a surgery and asked the doctor how much it would cost. He said no one had ever asked. He didn’t know the cost. What if we eliminated all health insurance for everything but expenses over, say, $5,000. Under that amount, patients had to pay all costs themselves or get private donations to pay for medical services. Would the cost of health care fall or rise? It’s a good bet that thrifty consumers would demand a better bargain for health services. It used to be said that patients lack the knowledge to shop around for health care, but the Internet is making it easier to compare performance records and prices all the time. When we think of the most important industries in America, education, arguably, is at or near the very top. Health care may be the second-most important product we buy in our lifetime. Yet these two industries have short-circuited the normal pricing system that allocates resources so efficiently. Then we have turned the government into the major provider. This is a model that doesn’t work to promote quality or cost effectiveness. Just one example is the recent report that Medicaid patients who have surgery are almost twice as likely to die from their procedures than those with private insurance. Meanwhile medical insurance and college education costs are putting American families under intense financial stress. The movements to expand the government’s role by doling out even more dollars in student loans and by ramping up Obamacare subsidies are supposed to be godsends to the middle class. This is exactly the way we got into this spiral of ever-escalating costs in the first place. But we never seem to learn that when government gives things away for free – it is oh, so expensive. 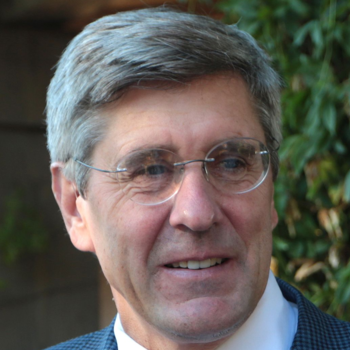 Stephen Moore is a senior editor with the Wall Street Journal and the author of The End of Prosperity. For information on how to bring him to your next event, visit www.premierespeakers.com/stephen_moore.